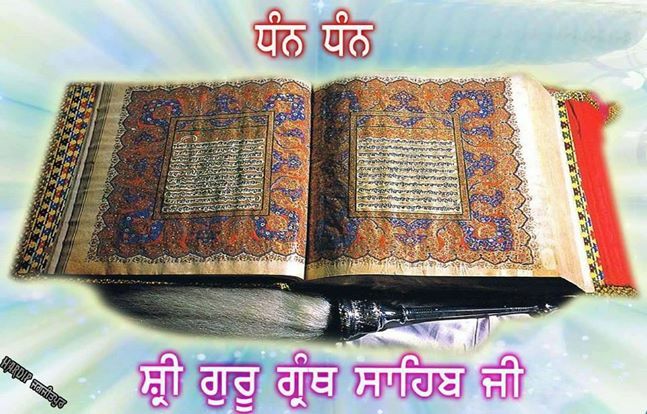 The holy scripture of the Sikh faith, called Aad Guru Granth Sahib (AGGS), consists of hymns of devotion to God, inspired reflection ns on the cosmic order, the vision of the higher life and exhortation to man towards lifting himself to the state of spiritual peace and the attainment of liberation. The sacred volume was completed in 1604 when it was installed in Harimandir Sahib (Golden Temple) for the first time on 1st of September. Sünyam and Sünyata are two terms of major importance in Buddhism and have been used to denote ’emptiness’, ‘nothingness’, ‘non-substantiality’ and ‘the inexhaustible’. During the second century BC, Buddhist teachers in India emphasized the ’emptiness’ as a basic description of the nature of existing things. They were known as ‘teachers of emptiness’ or sunyavadins. The emptiness of all things is a significant part of the Bodhisattva path to enlightenment in Mahayana Buddhism. Naga rjuna, the greatest Buddhist philosopher, interprets Sunyata in his treatise, Madhymika sutras. He established the theory of Sunyata and accepted it as the fundamental principle underlying creation. In Siddh-Nath-Yogi tradition, the term sunya has been used frequently. It is said that sunya is so transcendental that it is neither in the body nor is it out of the body. Sunya has been linked with the sabda or nada. And the will of God prevailed. God sat in primal, profound trance (in Sunya). The concept of Sünya as introduced by Guru Nanak in AGGS has far reaching implications for understanding the Nanakian philosophy of Sikhism. Apparently, the concept has theoretical linkage with Indian philosophy as it developed during the Buddhist era. Guru Nanak re-interpreted it and hence its import in Sikh metaphysics. Professor H.S. 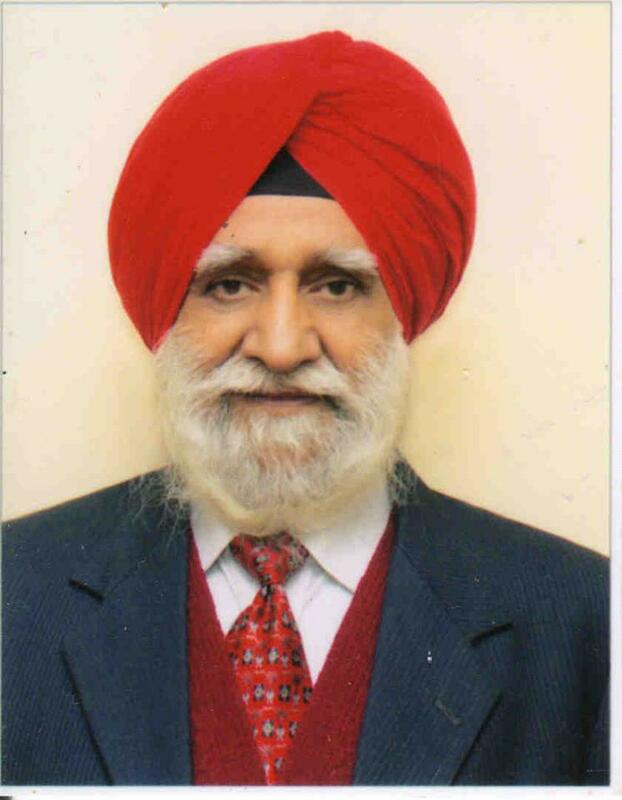 Virk retired as Head of Physics Department and Director Earthquake Research Center from Guru Nanak Dev University, Amritsar (India) in 2002. At present, he is working as Professor Emeritus in Indian Institute of Science and Religion in Pune. He has got his Doctorate in High Energy Nuclear Physics from Marie Curie University, Paris in 1972, taught B.Sc. and M.Sc courses for 39 years, guided 18 Ph.D. scholars and published 310 research papers in the field of radiation physics, seismology and ion track technology. He has authored 15 books on scientific topics mostly in the Punjabi medium for the popularization of science. Professor Virk has completed 16 Research Projects and his work is highly cited in earthquake prediction research and radiation physics. He has been a globe trotter and visited more than two dozen universities in Europe and America attending international conferences, as visiting/guest professor and guiding research. He was a Senior Associate of ICTP, Trieste, Italy from 1985-1990. Professor Virk has been a member of various academic forums and professional societies in India and abroad. He is President of Indian Association of Physics Teachers. 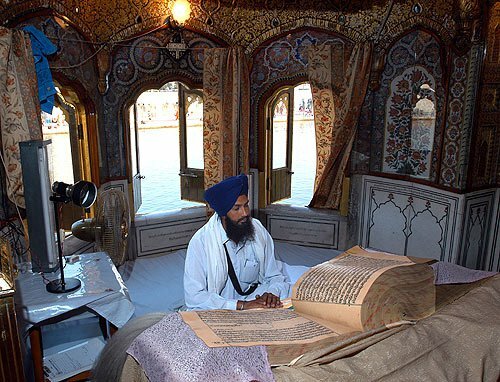 He is working on a Project: “Science and Religion in Dialogue with special reference to Sikh Religion”. His Project “Global Perspectives in Science and Spirituality” received an Honorable Mention Award by the John Templeton Foundation. 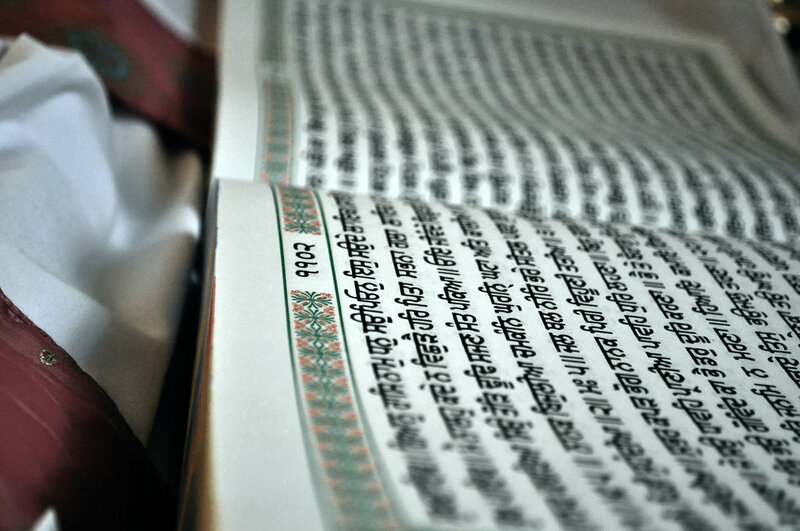 The holy scripture of the Sikh faith, called Aad Guru Granth Sahib (AGGS), consists of hymns of devotion to God, inspired reflections on the cosmic order, the vision of the higher life and exhortation to man towards lifting himself to the state of spiritual peace and the attainment of liberation. 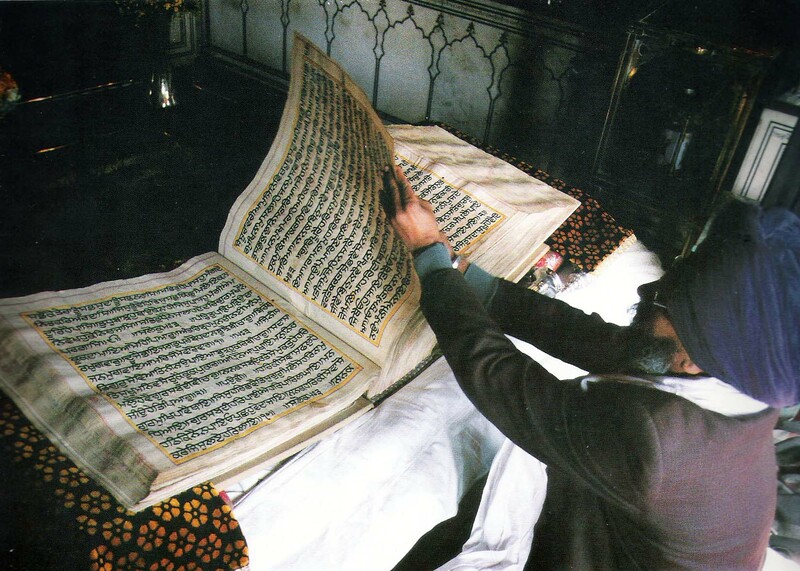 The sacred volume was completed in 1604 when it was installed in Harimandir Sahib for the first time on 1st of September. During twentyfirst century, a dialogue between Science and Religion is the order of the day for ushering in world peace. AGGS with its universal doctrines based on truth, compassion and justice is destined to play a sterling role at the global level. This is the only scripture, which corroborates modern scientific theories in the domain of cosmology. Big Bang cosmology explains many features of our universe and it holds its sway due to experimental support it got during recent years. However, it has many enigmas yet to be resolved. For example, Who created the universe? What was the pre-creation state of the universe? What will be the end or fate of the universe? Mathematical models fail to answer these questions. In fact, all mathematical equations fail at the moment of creation of the Universe and its annihilation leading us to “Singularities”, a term which has become a cosmological buzzword these days. AGGS comes to the rescue of our modern day cosmologists. 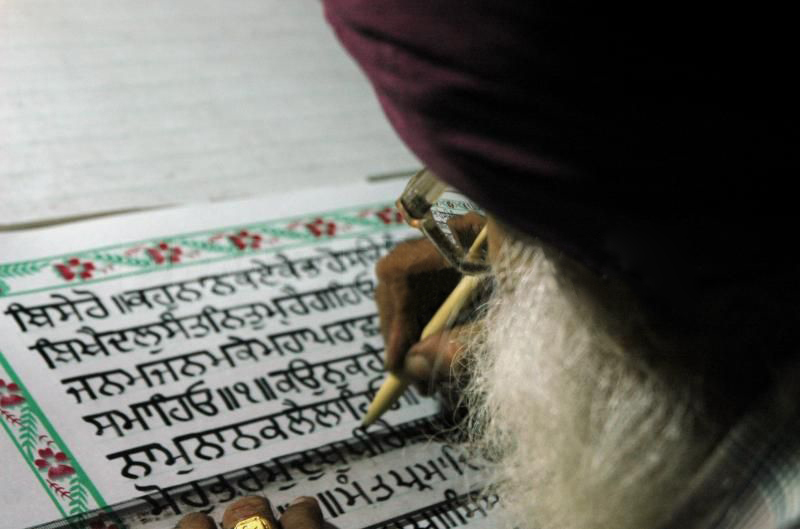 A wonderful doctrine of Sünya is introduced in the Sikh scripture to explain the pre-creation state of the universe. God is the creator of the universe and He is the annihilator. So there is no enigma or concept of ‘singularity’ in AGGS. Surprisingly, Quantum Physics allows the universe to appear out of nothing at all, as a so-called vacuum fluctuation using the famous ‘Uncertainty Principle’. Chaotic inflation led to the sudden expansion of the Universe out of a quantum fluctuation. Indian religious literature is full of references regarding creation of the Universe. However, the doctrine of Sünya, first introduced in Buddhism has been elaborated in AGGS. It is a testimony of intuitive knowledge gained by the Sikh Gurus using dib drishti or spiritual vision which is of transcendental nature. Sünyam and Sünyata are two terms of major importance in Buddhism and have been used to denote ’emptiness’, ‘nothingness’, ‘non-substantiality’ and ‘the inexhaustible’. During the second century BC, Buddhist teachers in India emphasized the ’emptiness’ as a basic description of the nature of existing things. They were known as ‘teachers of emptiness’ or sunyavadins. The emptiness of all things is a significant part of the Buddhisatva path to enlightenment in Mahayana Buddhism. Nagarjuna, the greatest Buddhist philosopher, interprets Sunyata in his treatise, Madhymika sutras. He established the theory of Sunyata and accepted it as the fundamental principle underlying creation. The doctrine of the void is a method of rejecting all attachments because things have no ‘self’, that is, they are empty. ‘Void’ is not nothingness conceived in negative terms. This positive concept of ‘void’ is often compared with emptiness inside a vase. The state of Sunyata, or void is one in which all polarity, all subject – objectdifferentiation has ceased to exist. But for a sunyavadin this is a positive concept. Sunyatais the negation of all views and is itself not a view! a) Supreme Reality (Nada), Supreme knowledge or Supreme nature. b) Brahmanrandhra, Dasam dwara, the Sahsrara chakra and Gaganmandal. 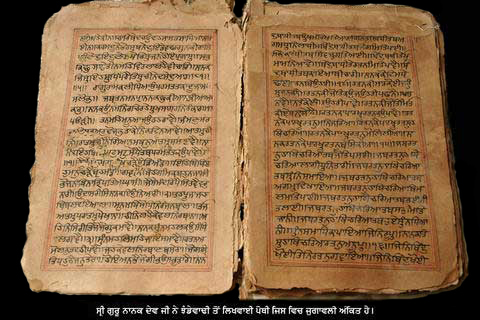 We find an echo of Sunyata philosophy of Buddhism in Sikh scripture , Aad Guru Granth Sahib (AGGS). Siddh-Nath-Yogis held their sway in Punjab before the advent of Sikhism. They all belong to the Sahajayani sect of Buddhism or its perverted forms after assimilation into Hindu fold. 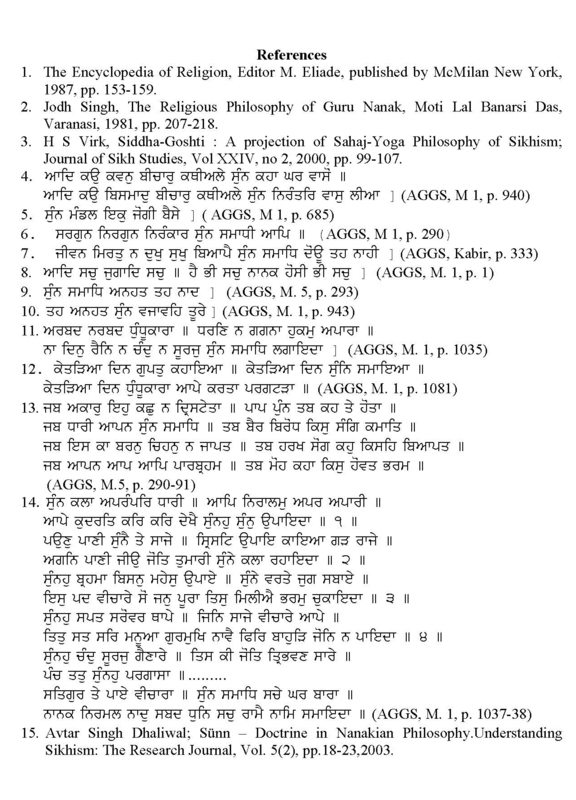 According to Mahankosh, there were twelve panths of Nath cult in Punjab and eighty four Siddhas, with Guru Gorakh Nath as a leading figure among the Siddhas of Punjab. 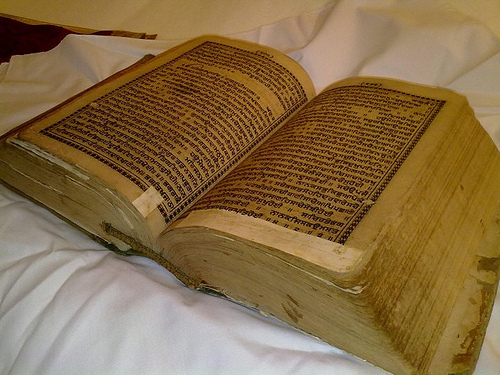 Guru Nanak’s dialogue with Siddhas is recorded in AGGS as Siddh-Goshit which is in the form of a religious debate concerning origin of cosmos, sünya, liberation and various other issues. Guru Nanak rejected the Hatha-Yoga cult of Siddhas and condemned the path of renunciation of the world followed by them. He advocated adoption of house-holder’s life in this world and preached Sahaj-Yoga or Nam-Yoga, the Sikh way of life. Q:- What about the pre-cosmos state? Prior to it where the Lord of void abide? A:- The very thought of the pre-cosmos state lands one in a state of wonder. In the profound stillness of the Sunya, the formless one pervaded in continuum then. 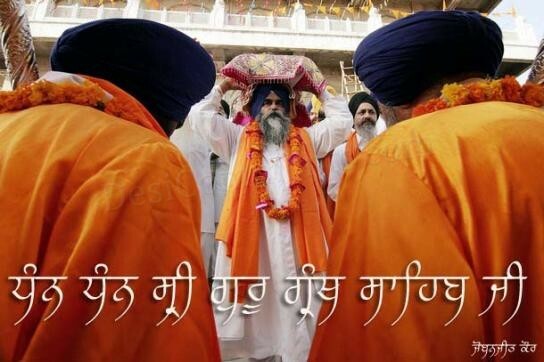 Siddh-Goshit in AGGS is a remarkable debate on the beliefs, practices and doctrines of the two systems; one propounded by the Siddhas and the other by Guru Nanak, the founder of Sikh faith. Philosophical questions concerning the origin of cosmos, life and mind, potency of Sabda, need for the Guru, nature of Supreme Reality and the liberation for human soul are answered by Guru Nanak from the Sikh view-point. The concept of Ideal Man (Gurmukh) is propounded by Guru Nanak demolishing the concept of world renunciation practiced by Siddhas. He possesses all qualities, He transcends all qualities; He is the formless Lord, He Himself is in Primal trance (samaadhi). (AGGS, M 5, p. 290). No life or death, no pain or pleasure is felt there. There is only the primal trance of samaadhi, and hence no duality. Will exist in the future. The deepest samaadhi, and the unstruck sound current of the Naad is there. There, the unstruck sound current of the Absolute Lord vibrates and resounds. For countless days, He remained invisibles. Then the Creator revealed Himself. Whence was the need for virtue and vice? Whence was the need for enmity or jealousy? Thence who could suffer pain or feel happy? Thence who was lured by attachment or by doubt? In the Sünya (Primal void),the infinite Lord assumed his Power. He Himself is unattached, infinite and incomparable. From the Sünya, He created air and water. He created universe and the man in the fortress of body. From this Sünya, Brahma, Vishnu and Shiva issued forth. From this Sünya, the moon, the sun and the earth were created. They were created from Sünya, and they will merge into the sünya. From the Sünya, the five elements became manifest. From the True Guru, contemplative meditation is obtained. In His celestial home, in deepest samaadhi of sunya. One merges into the True Name of the Lord. The concept of Sünya as introduced by Guru Nanak in AGGS has far reaching implications for understanding the Nanakian philosophy of Sikhism. Apparently, the concept has theoretical linkage with Indian philosophy as it developed during the Buddhist era. Guru Nanak re-interpreted itand hence its import in Sikh metaphysics. When Siddhas ask Guru Nanak: “Who are they, who are attuned to this Absolute Sünya?” Guru Nanak answers: “They are the Gurmukhs (Guru oriented), like the God, from whom they originated.” While Sünya doctrine was used to promote renunciation and monasticism by its Buddhist advocates knows as sunyavadins, Guru Nanak condemned it and advocated the life style of a Gurmukh, the house-holder who faces the challenges of worldly life. Thus theoretical implications of Sünya doctrine may be identical in both Buddhism and Sikhism but empirical meanings are different in the two systems. In the Sikh metaphysics, Sünya represents the pre-creation stage of our cosmos when God or Absolute Reality was absorbed in itself and realm of duality was non-existent.